grandma's cookie jar: LeapPad Explorer Monster's University Learning Game Review and Give-Away! LeapPad Explorer Monster's University Learning Game Review and Give-Away! 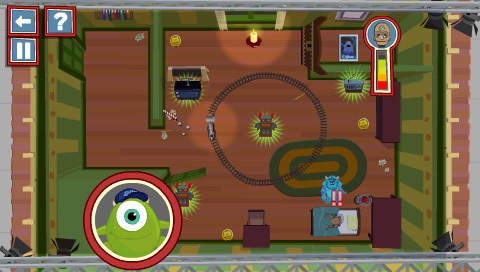 Now, on to the LeapPad Explorer Monster's University Learning Game! As I said in my last post, "There are so many excellent messages in the new Monster's University movie, it is difficult to know where to begin! First of all, the theme of the movie focuses on how we are not all the same; we are different and this is more than okay, it is exactly as it should be! Messages about fear and overcoming it are throughout the book and game as having a dream and not giving up, no matter how difficult or impossible it might seem, making friends and how you may discover someone who you do not initially get along with might end up as one of your very best friends! I love how it encourages children to not pre-judge others and to give them a chance . . . all of these are messages we want our grandchildren to hear and live in their own lives!" LeapFrog sent me the app to download this game into Josiah's LeapPad so I could review it. I have to say, kids will absolutely LOVE this game! LeapFrog says, "We know kids learn better when they are having fun. Our heritage is rooted in creating products which are rich in education, technology and storytelling. Parents trust LeapFrog products because they help children develop skills through play. Kids will have fun while learning and exploring with a device which looks like mom or dad’s but can handle a little everyday roughhousing." Children will think they are just having fun playing games, but you will know they are also learning at the same time! Look at all the learning fun in this great game . . . 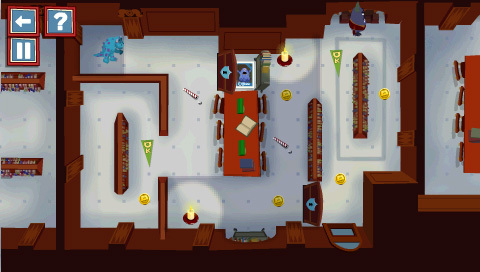 When children play this game they will, "navigate through 24 levels across campus as they sneak to their destination! They’ll have to utilize strategic thinking and problem-solving skills to avoid enemies and referees. Blow out candles using spitballs so they can hide in the dark and distract opponents by attaching noise-making bells an d collect all the pennants!" One unique and fun feature of this program is the opportunity it gives children to "monsterize" themselves! As LeapFrog says, "Pick parts to create your own monster. You can even monsterize your own face and bring your creation to life by recording monster roars with the built-in camera and microphone on LeapPad™ learning tablets and LeapsterGS Explorer™! Finally, put your monster to the test and see how much scream energy you can collect!" Josiah LOVES making movies and taking pictures with his LeapPad, so being able to take his own picture and then "monsterize" himself is something he is absolutely going to LOVE! And, since this is a LeapFrog game, there is still more for children to do! As children visit Monster University, they will find, "two problem-solving mini games which will challenge their scare skills as they identify pairs of matching monster memorabilia before time runs out and use deductive reasoning skills to find the monster which holds the hidden key!" When I participated in the webex I learned something which I'm very glad to know LeapPad intentionally worked into this game; "'As Mike and Sulley learn, setting up the perfect monster scare is a challenging problem to be solved using wits and perseverance. 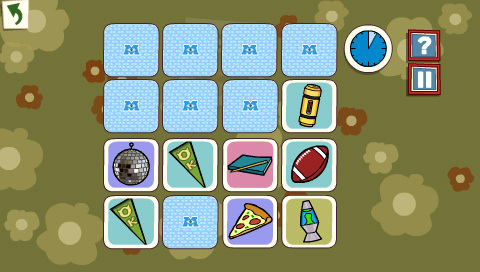 In this game, each level exercises children’s logic skills, requiring them to rely on tools in the environments to overcome opponents and obstacles. Children are encouraged to test strategies, learn from mistakes and try again until they set up the perfect scare.' - Clement C., LeapFrog Learning Expert"
Did you catch it? Children are "encouraged" to "learn from mistakes and try again until they set up the perfect scare." A game which is fun AND encourages children to learn from mistakes is one with which I want my grandsons to play! I want them to learn how to learn from their mistakes. I want them to learn to not give up and to take a breath and try again! I am a grandma who is very happy to see how the LeapPad Explorer Monster's University Learning Game does exactly this! Clearly the LeapPad Explorer Monster's University Learning Game is great fun and an excellent tool to help your grandchildren learn! I'm so happy to say not only did LeapFrog send me a LeapPad Explorer Monster's University Learning Game to review, but they are also making one game available for me to give away! I will have a drawing for it on June 13th (USA only) If you are 18+ you can enter this contest by commenting below to let me know if you have followed on Google+, Google Friend Connect, followed by liking on facebook with the tab in the "Find us on Facebook" box ON THE BLOG (not just liking the post) and/or have followed grandma's cookie jar by email. For each of these which you have done you will receive one entry. In addition, if you "share" this post, you'll receive an additional entry each time you "share" (please let me know if you share). This will help me be able to draw a name from among people who would like to win LeapPad Explorer Monster's University Learning Game and it gives you several ways to enter the give-away! Thank you for reading grandma's cookie jar and for sharing it with the people you know! I follow via email, on Google friend connect, and like Grandma's Cookie Jar on facebook. I shared on G+ & tagged you.